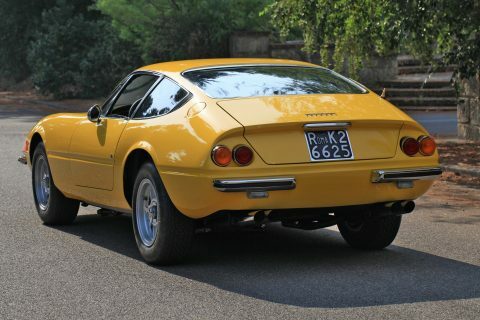 The now legendary 365 GTB/4 marked a dramatic leap forward when it was first shown to the public at the 1968 Paris Salon. Drastically different from its predecessor, the 275 GTB/4, yet instantly recognizable as a Ferrari and so unique. It was an instant hit. 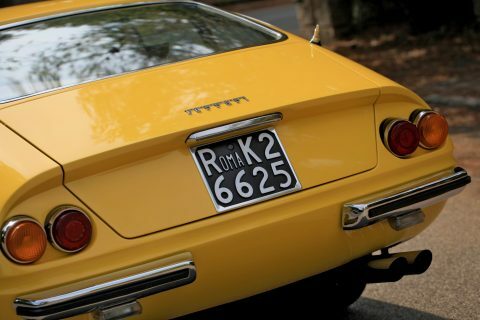 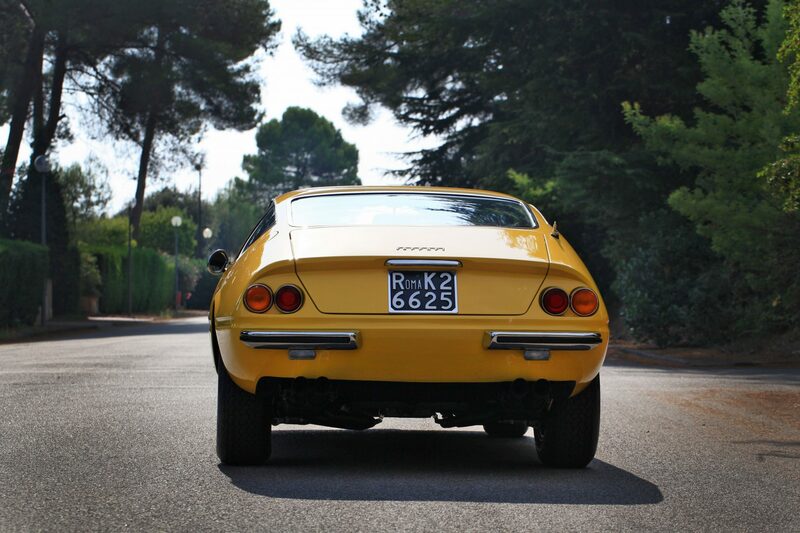 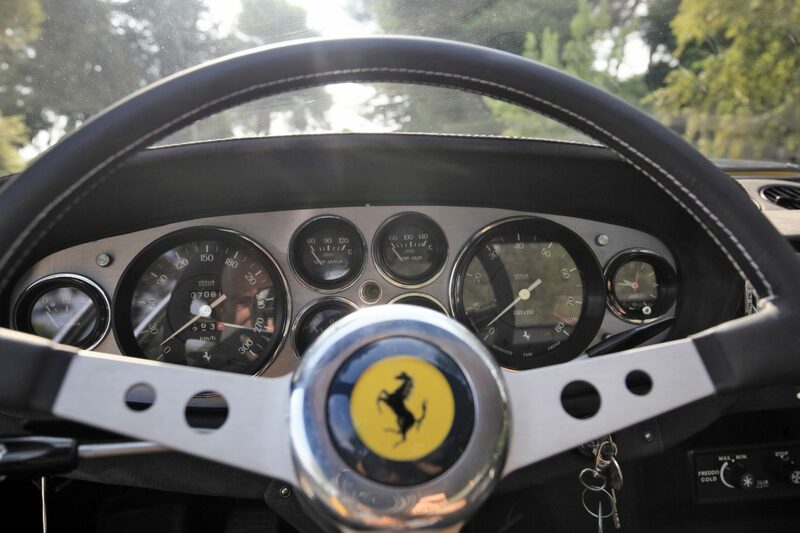 Few of Maranello’s road models have captured the magic like the 365 GTB/4. 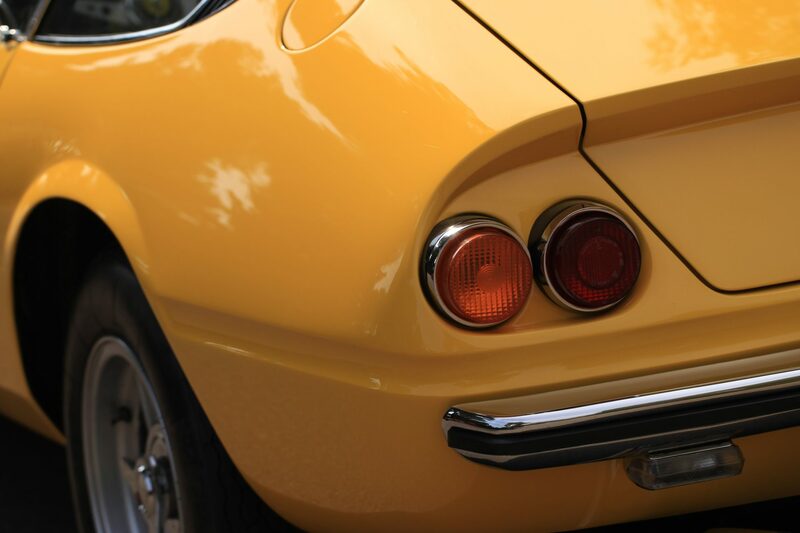 The ultimate expression of Ferrari’s fabulous line of V12 front-engined sports cars, the 365 GTB/4 was soon gaining the unofficial name ‘Daytona’ in honor of the sweeping 1, 2, 3 finish by the Ferrari 330P4 at that circuit in 1967. 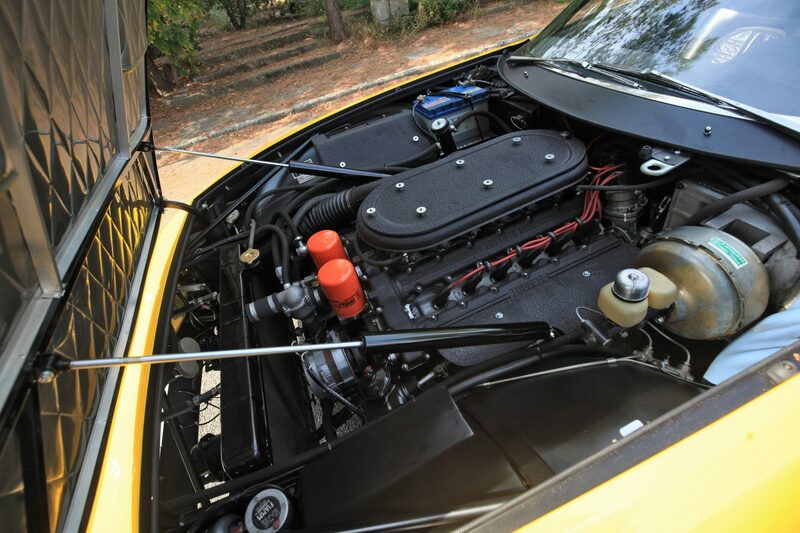 Fitted with an all-new 4.4-litre V-12 engine capable of producing 352 horsepower and 315 foot-pounds of torque at 7,500 rpm, the 365 GTB/4 was capable of a top speed of 279 km/h, making it unsurprisingly one of the fastest production car in the world at its time of introduction. 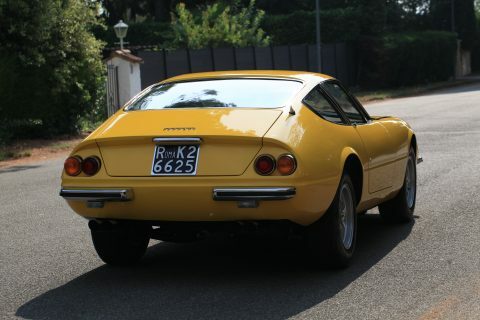 Pininfarina’s Leonardo Fioravanti was responsible for the influential shark-nosed styling, creating a package that restated the traditional ‘long bonnet, small cabin, short tail’ look in a manner suggesting muscular horsepower while retaining all the elegance associated with the Italian coachbuilder’s work. 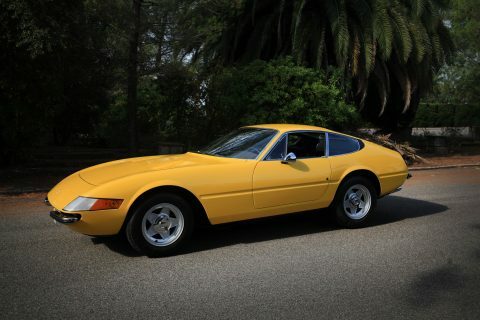 At the time of its introduction in 1968 the Daytona was the most expensive production Ferrari ever, deliveries commenced in the second half of 1969 and the Daytona would be manufactured for just four years. 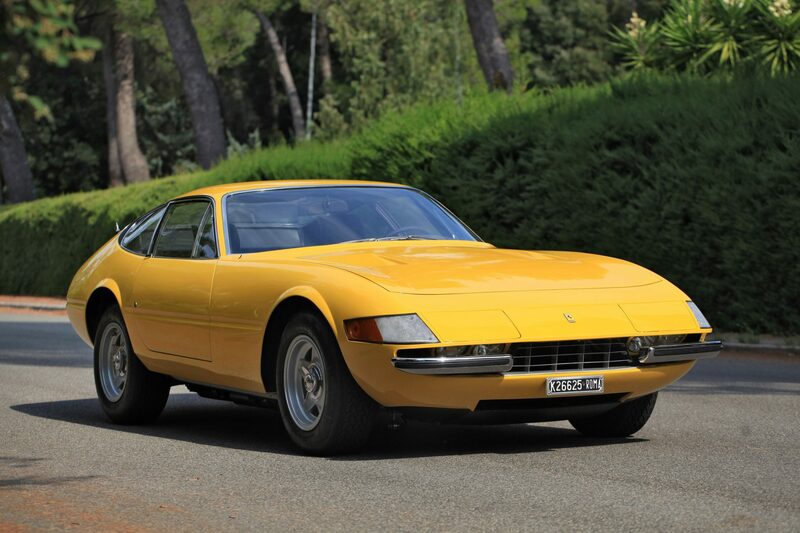 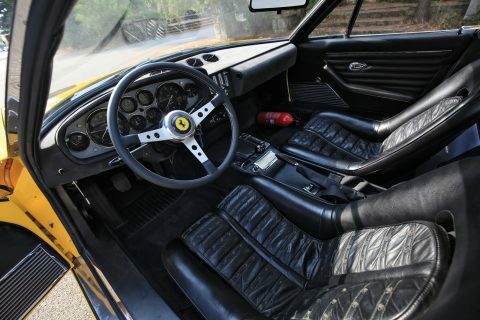 Only c. 1,300 Berlinetta models and 121 Spider had been made when production ceased in 1973. The Daytona we have here on offer is chassis 15527 and was supplied new via official Ferrari dealer Motor s.p.a Bologna on April 1972. The original colour combination was Giallo Fly 20-Y-191 Salchi with Pelle Nera VM8500, which it still retains today. The car’s first registration was ‘Roma K26625’ and remained with its first owner for a very short time. 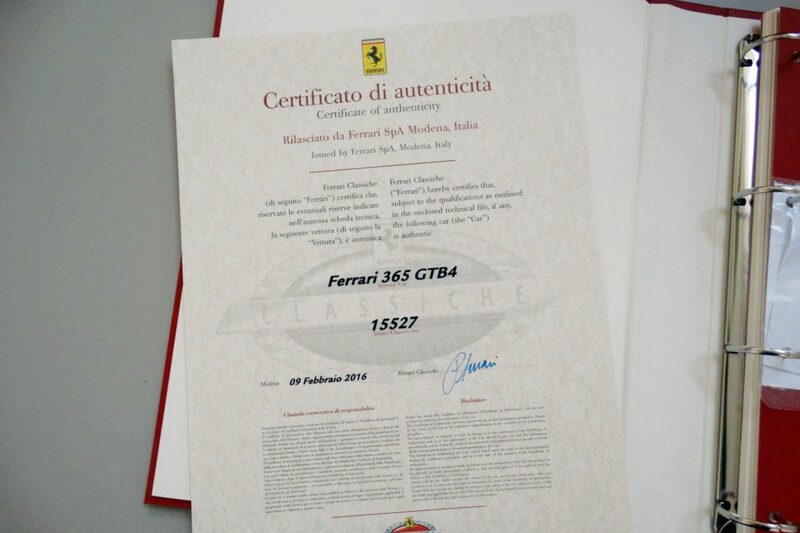 Two months later 15227 was acquired for 10.000.000 Lire by its second and very long term owner, a company called s.r.l Gran Gala based in Rome. 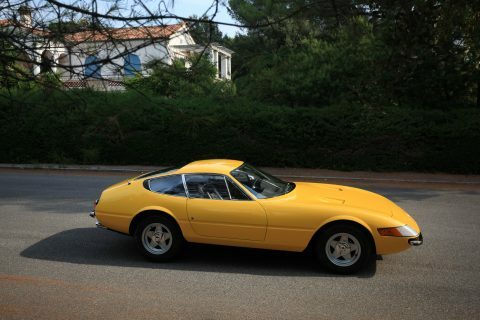 Gran Gala s.r.l will keep the car for the next 41 years with reportedly very low mileage before it was acquired via a company based in Luxembourg in 2013. At this stage 15227 was embarked into a thorough refurbishment and complete engine overhaul by Italian marque experts. 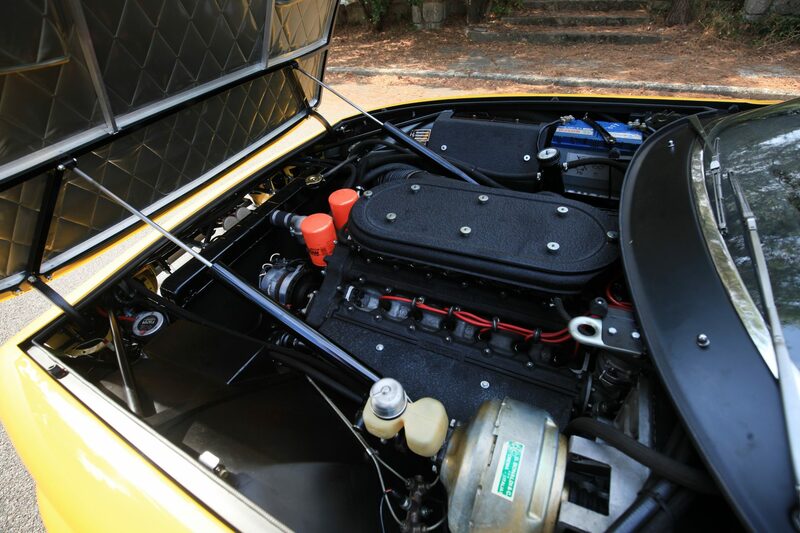 Detailed invoices and photographs of the whole process are available in the file. In 2015 the car was purchased by its 5th and current owner who had the Classiche ‘red book’ Certification issued the following year and confirming all its original specifications / numbers.